One of the main things needed to jump-start a country’s industrialisation is a thriving steel industry. This, perhaps, explains why the Ajaokuta Steel Company Limited (ASCL) in Kogi State is also referred to by some as the “Bedrock of Nigeria’s industrialisation.Among other things, the gigantic steel project, which is bigger than Lokoja-the state capital, consists of over 20 housing estates, hospitals, a national diploma awarding school, the main steel plant and even an inland port. Concieved and executed to almost 98 per cent completion by the late Alhaji Shehu Shagari-led administration by 1984, it is still shocking to many that the project has stood out over the years as one of the country’s classic white elephant projects.Interestingly, several administrations, have promised to fix the facility and give a great boost to the country’s industralisation drive, but to date, that hope remained dashed. In fact, as years rolled by, completion of the project became an electioneering campaign refrain for those seeking political office, but who show no commitment or make no attempt to fulfill their promises after being elected into office.All these are happening after over $5b had been spent on the project, and reportedly requiring just $650m to make it fully operational. President Muhammadu Buhari, during his 2015 presidential campaign visit to Kogi State promised to complete the comatose steel complex, but four years after he made the promise, he has not kept his word, rather his administration has listed it as one of the state-owned outfits to be disposed of. The project is so far away from the President’s heart that he never made mention of it during his recent presidential campaign rally in Lokoja. It was after a flustered Governor Yahaya Bello reminded him of the project that he casually commented that his government would complete it in order to create jobs and bring about development. This unfortunate scenario even got stakeholders in the state to question the sincerity of government’s privatisation plan with many fearing that the complex may be sold out as scrap to cronies of those and that would be the end of the story about ASCL.Even with the President’s half-hearted response at Bello’s prompting, many still believe that he has no interest in seeing to the completion of the steel complex especially as he led the military junta that truncated the civilian regime of Shagari, and which also had the opportunity to complete the project with military fiat, but could not do so. Another school of thought is also of the opinion that the privatisation option may not be the best for the facility in view of the fact that the project is too massive for an individual investor to muster the financial muscle to complete, let alone make it functional. That explains why they say a government-to-government type of concessioning is the only viable option that can make the idea work.But former president of Iron and Steel Senior Staff Association of Nigeria (ISSSAN) Mallam Otori Saliu, is of the view that privatisation of whatever form has failed generally not only in the steel sector, but also in the country as a whole. “When you look at it, we have gone through all forms of privatisation and none seems to be working. You know we have the ASCL; Delta Steel Company Limited in Aladja; Inland Rolling Mills in Oshogbo, Katsina and Jos, all put together are liquidated. All of them are under lock and key, especially that of Oshogbo and Jos. “The Nigeria Machine Tools Limited in Oshogbo, which is in the steel sector has also been under lock and key since after it was privatised. Same applies to Delta Steel Company. Solgas bidded and got Ajaokuta Steel Company Limited concessioned to it, but when Solgas Energy failed, it collapsed and overnight it was bidded to Gobal Infrastructure. 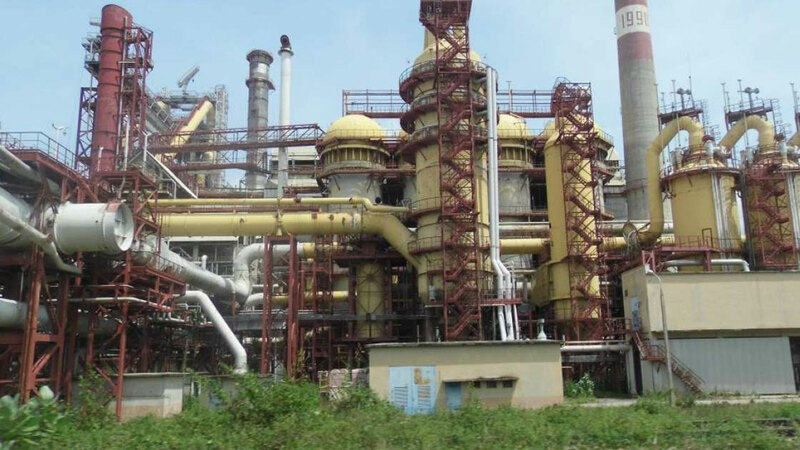 “Even at that, over the years, there has been concerted effort to further privatise the Ajaokuta Steel Complex over and over again, but all efforts were abortive. The truth is, no individual can muster the financial muscle to handle the project.”He continued: “There was a time that they brought somebody who suggested that the Ajaokuta plant should be sold off as scrap, and when asked what the company intended to do with the scrap, he said the structure would be removed and taken to China. That tells us that the steel project is still very much viable. “I also remember that in 2004, a World Bank team that visited Ajaokuta said it was not viable. After looking at the complex we asked the leader of the team (at the airstrip in Adogo) about his team’s impression of the project. 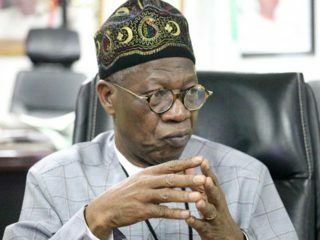 He retorted, ‘do you want my personal opinion or official opinion?’ We said both and he said if we want his personal opinion what Nigeria should simply do is to take a loan and complete Ajaokuta Steel Complex and run it before privatisation. His reason was that having gone round the globe, there was no concentration of integrated steel company the world over as in Ajaokuta Steel Complex. Saliu particularly lamented that Buhari has disappointed the people saying, “We came together and decided that Buhari must come on board because President Goodluck Jonathan promised heaven and earth but did not do anything about Ajaokuta. So, when Buhari came, we were happy, thinking that he would inject life into the project, even though in his last campaign visit he claimed he has done the rail line linking the place. “I want to say that with or without Ajaokuta the citizenry needs infrastructure. So, the rail line is a plus, but side-by-side, he should be able to complete the project while still embarking on infrastructural development. The former union leader said they were highly elated when President Buhari came up with his economic diversification agenda. “In fact, we thought that Ajaokuta Steel Complex together with Delta Steel Rolling Mills, among others were capable to displace oil as our major foreign exchange earner, but that is not the case even as employment opportunities are lost. Apart from helping to jump-start the country’s industrialisation, Saliu said, “If Ajaokuta Steel Company is functional, the Kogi State government cannot say that it won’t make money from tenement rate, and all other legitimate revenues would accrue to it from the project. 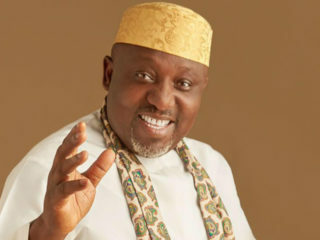 Other catchment states will benefit from it as well.”He cited the Katsina Steel Rolling Mill bought by Dana, which has now been grounded, adding that of all privatised steel companies, it was about the only one that was still offering skeletal services, He said: “Any nation that depends on foreign partners solely for defence issues can never succeed. There is nothing that Ajaokuta Steel Company cannot produce, but we need funds to get it to start producing. 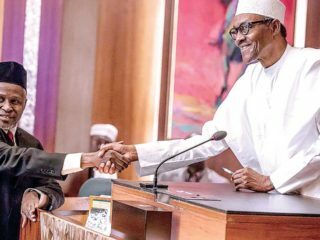 “That is why we were jubilant when the House of Representatives and the Senate approved the $1b completion fund for the complex, hoping that the executive would append its signature in order to finally solve the Ajaokuta conundrum.” He, however, commended Buhari for appointing a sole administrator that is a trained engineer, and not a ceremonial sole administrator. “If we have all these people in place and a number of top management staffers being qualified engineers, all what we just need is to encourage them so that the place can ultimately work. So, in essence, I am not in support of concessioning the project.”Nigerian mine workers are in in league with the House of Representatives stance that the Federal Government should complete the complex before considering any issue of privatisation or concessioning. The chairman of the Nigerian Union of Mine Workers, ASCL Branch Comrade Salami Momoh Jimoh, recently told The Guardian that if the Federal Government can inject the needed funds to complete the project, the company can generate many jobs.”ASLC is the largest steel industry in the entire Africa and the third largest in the world. It is an integrated plant whereby you start and end a process all within the complex. Jimoh also applauded the choice of the newly appointed sole administrator Ismail Akaaba, saying since he assumed office, he has set sight on ensuring that the power plant functions. He therefore called on the Federal Government to summon enough courage to complete the project because its advantages were enormous, and because it currently has the right leadership in place that can make things happen. The Nigeria Labour Congress (NLC), Kogi State Chapter is equally against the privatisation of the facility in its current state.Its chapter chairman, Comrade Onuh Edoka said, “The organised labour is opposed to the recent attempt to again concession Ajaokuta Steel Company Limited to Global Infrastructure Nigeria Limited because it was alleged that the company had a hand in the decay and current moribund status of the steel complex. “The organised labour in Kogi State wishes to call on the Federal Government to, as a matter of urgency, appropriate enough funds for the speedy completion of the steel company in view of its strategic economic importance the country.The Vice President, Yemi Osibanjo during a visit to Kogi State for an economic summit, disclosed that the Federal Government had finally resolved all legal issues holding down Ajaokuta Iron and Steel Complex. He also indicated that a technical audit of the complex was on and would be completed very soon to enable the convening of an investment summit tagged, “Maximising the Ajaokuta Steel Production Capacity Will Unlock the Steel Area of our Economy.”He said the Itakpe-Warri-Ajaokuta rail project would be extended to Abuja so that the entire mining corridor is covered by rail. “When completed it would be a major rail line for the movement of goods and services and people. In addition we have also opened up the inland waterways for movement of goods,” he said.The Chairman, Kogi Coalition of Business and Professional Associations (KOCOBPA) Dr. John Alabi said revitalisation remains a necessity for the country’s industrial growth. According to him, “government’s sole ownership/management of Ajaokuta Steel Company has failed hence the option of privitasation.” He said a well guided and transparently managed concessioning option seems the best for the complex, adding that, “the procurement/selection of capable concessioner and a carefully crafted agreement that would be mutually beneficial to both parties and public is paramount. “Critical capability indicators for shopping for able concessioner should include, technical competence, previous cognate experience and strong financial ability.On his part, the Executive Secretary, African Iron & Steel Association, Dr. Sanusi Muhammad, said critical stakeholders are not in support of the Government’s stance on Ajaokuta because of the experiences they have on previous concessions and privatisation. “Delta Steel was privatised and the company is now in a sorry state. From the privatisation of these steel companies, it is only Katsina Steel Company that is working as of today. We have advised the Federal Government to complete and operate the Ajaokuta Steel Company with its attendant benefits, including massive employment opportunities and revenue generation. 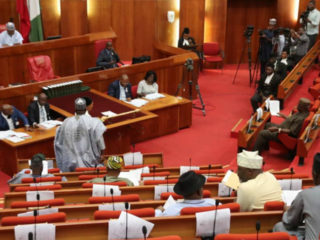 “The National Assembly has also passed a resolution for the government to remove Ajaokuta Steel and National Iron Ore Mining Company, Itakpe from the list of outfits billed for privatisation and recommended that the government should put $1b for the completion of the plant. This step I am fully in support of,” he said.